It’s been said time and time again that cycling is one of the best physical therapies one can do after undergoing ACL reconstruction surgery. So why not have a program that sets goals and facilitates incremental wins? Thankfully for me—despite this decidedly uncool situation—cycling was already a large part of my physical activity. Coincidentally, I picked up the bike after dealing with a previous knee injury. After months and months of a stiff knee that lacked range of motion (ROM), cycling became rehab for me once before. But, then it became a passion of mine. Did you happen to arrive here by mistake? 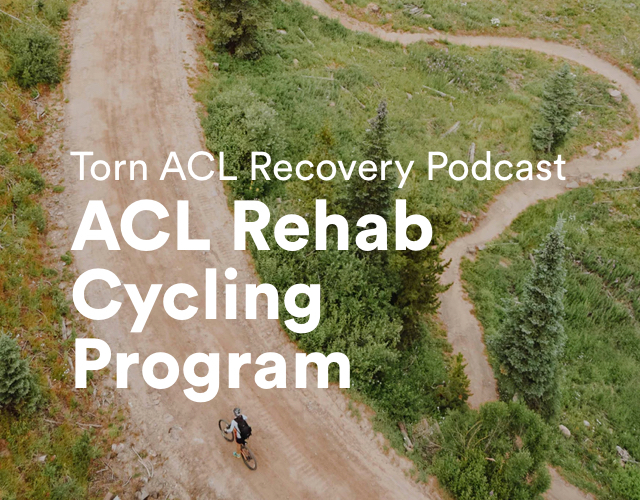 Maybe you’re looking for the Torn ACL Recovery Podcast. Something that I quite appreciate about the bike is it’s ability to continuously heal both body and mind. If you’ve ever picked up a copy of A Simple Machine, Like the Lever, you know what I’m saying. For all that is changing around us and all that is out of our control, the bike remains a machine we can rely on to take us places we’ve not yet been. Under our own power. And with a sense of accomplishment. What’s ahead in this article? Before my surgery I started getting interested in how I could measure my efforts in rehab using a smart trainer, a heart rate monitor, my phone, and my bike. The key ingredient here, of course, is watts. A watt is a unit of measurement—exactly like the watts that power a home—that is also expressed in terms of our energy output over time on a bike. In other words, generating 0 watts would be getting on the bike for the first time after surgery. At that point you might be simply attempting to achieve better ROM. This was me: when I first got on the bike, I couldn’t even gain a full revolution. It was half circles with no power. On the other end of the spectrum, a recreational cyclist might be on a group ride with some friends and “sprint” the last 50 meters up a local climb in competition. Let’s say that rider generates 600 watts of power during that short sprint. (I have no idea of course, but you get where I’m headed.) He or she generates that much more power in a short burst. This is a good time to note that this won’t be a deep track nerds-of-cycling article about gear specs or peloton-level training guides. This is a baseline guide to rehabbing from ACL surgery on a bike. Once you begin measuring your ACLR rehab in weeks and months, rather than in days, you’ll find it begins to get boring. The little gains that are so ever present in the early stages begin to fade away with longer stretches of time without a lot of tangible change. I keep telling myself, and anyone that asks, that each day is a 1% improvement. How am I feeling today? Well, about 1% better than yesterday, and tomorrow will hopefully be another 1% or so! It’s hard to get psyched up about the differences day over day, but when you think about last week versus this week, or last month versus this month, the differences are clear, right? Watts give us that mental edge even though things may otherwise feel slow. Watts are the key to understanding how our power and endurance improve when cycling for physical therapy. First, a bike! I use a road bike on my trainer. I’ve seen some find success with a “hybrid” bike on a trainer, too. You’ll need a slick rear tire, so don’t go throwing your knobby mountain bike tire on a new smart trainer. You’ll need a tire that makes contact with the machine at all times. Other “cycling” equipment, like an Airdyne or an Assault Bike are not recommended. They gauge watts but aren’t very accurate because they measure watts based on a combined effort of your arms and legs. Also, you can’t adjust settings at a specific watt level so it’s impossible to “stay” at 50 watts, for example. You’ll need to have that option for this program. That being said, ideally you’ll need a smart trainer (and a smart phone, which you probably have) to begin tracking your efforts. Or, access to a cycling-specific studio that accurately measures watts and gives you granular control. What makes a trainer smart? Among other things, it does more than just provide mechanical resistance to your back tire when you attach your bike to its frame and your tire to its flywheel. Meaning, it can hold you to specific efforts. A smart trainer is also intelligent in that it can communicate through, at a minimum, Bluetooth. Your phone also happens to have the same technology. Right away this creates a link from your trainer to your phone (and the app you use to track rides). I will also highly recommend you have a way to track your heart rate. While you might be thinking the main source of information here is watts, I’ve come to realize that my heart rate while riding is just as important. For example, if I’ve increased my effort and I start to notice I’m feeling out of breath, or even light headed, odds are my heart rate is spiking. Maybe I’m sick; maybe it’s an off day; or maybe I’m just pushing too hard. Budget trainers (up to $350 or so) have smaller, louder flywheels. Budget trainers have limited range (percent gradient they can re-create, or watts they can handle). Midrange trainers (up to $600) are more powerful, and much more quiet. Midrange trainers can comfortably handle any power output a recreational cyclist will have. High end trainers are a luxury in this space and not worth it for rehab! If you think otherwise, you’re likely already an experienced cyclist with opinions that far exceed the intent of this article. In my opinion, midrange is the way to go. They’re sturdy, not loud, and can handle bursts of power when my fitness is back at a stronger level. If you won’t ever use a trainer again after rehab, maybe you go with a low end model. That makes perfect sense. Like everything relating to ACL rehab, this is another cost. I look at it as something that will extend well beyond my rehab, personally. But these are the considerations we all must make in our unique situations. If you’re someone who likes to go into a rabbit hole on new topics, I recommend diving into DC Rainmaker’s smart trainer recaps. You can get a ton of information that goes to the deepest of levels there. When I’m riding I’ll either put my laptop on top of a couple storage containers to watch something or stream music over a bluetooth speaker to keep the energy up. Depends on the day! The trickiest part to creating a universal protocol or program points to the individuality of everyone’s unique case. The type of surgery, the extent of knee repair(s), the graft type, and so on. For example, if you’ve had a bone-tendon-bone (BTB) graft, anterior discomfort might mean you can’t begin any sort of cycling rehab for an extended period of time as compared to someone with a hamstring graft. Auto- versus allo-, meniscus or no meniscus repair, secondary ligament issues; the list goes on. That being said, this program is a guide. I’m not your surgeon or your physical therapist. Proceed with caution and with this basic common sense in mind: we’re all different. Don’t do something without thinking first. That being said, how can this program be approached while remaining sensible for the masses? In a perfect world we would want to know your functional threshold power (FTP) to effectively build a program. This essentially determines what you can sustain in terms of power output (with two good knees!) so you have an understanding of what you can handle—or work you should work back to over months in rehab. This is fundamentally based on your weight, measured as watts per kilogram (w/kg). For example, let’s say I weigh 77kg (170 pounds) and I already knew my functional power was around 240 watts. That would mean I’m right around 3w/kg. This is the “power to weight ratio” phrase you may have heard thrown around before. Thankfully there is a lot of data available to us to see what that means. Pulling up this chart of active users on the Zwift platform, for example, I can see that 3w/kg puts me into the low end of the “moderate” range. To paint a clearer picture, this number basically equates to: I’ve ridden bikes for a handful of years now, I ride relatively strenuous when I’m healthy, and in a strictly recreational sense I can hold my own very well. So in theory, I want to get back to comfortably holding 240 watts for ~10-20 minutes, in order to re-achieve my pre-surgery ability. Once I have that back, I can choose to continue training to push that as far as I’d like. There is of course no way we can find this power number after you’ve torn your ACL, or after you’ve had surgery. Sorry. But I came across an old Joe Friel article recently that gives us a way to estimate your FTP as a starting point. Multiply your body weight in pounds by 1.4. For me at 170 pounds that’s an FTP of 238 watts. This is about right for a ballpark figure, but I’m OK with that. Some people would come in lower and others higher. If you’re over 35 years old, subtract 0.5% for every year beyond that age. Example: If I was 50 years old I would subtract 7.5% from my FTP number. Female riders can subtract 10% from their estimated FTP found in steps 1 (and 2 if over 35) above. Remember that this number refers to a sustained effort. This isn’t a Sunday stroll to the ice cream shop with the kids, but a number that, in theory, represents your most sustained effort on the high end. Did you get your number? Great. Let’s look at rehab. I’m going to say this once more: I’m not your surgeon or your physical therapist, so don’t do anything crazy. Pace yourself, listen to your body, and know your limits. Alight, let’s take a look! This is based on my own rehab, so it’s neither the only way nor the best way. It’s simply a starting point for you during your own rehab. I’m calling each row by week because I have no idea when you’ll start, end, or jump around to. Weeks are relative to when you begin, and not to when you had surgery. You’ll notice that the first sheet reiterates a few reminders, and the second sheet is where you would input your information. From there the entire document will update and provide your goals. What if my numbers feel extremely easy? Or extremely hard? This is the challenge of estimating your power number. For example, if you’re a 210lb 30-year-old male who has never ridden a bike, almost 300 watts of power as your goal may be too high. Don’t be shy about adjusting the multiplier down if you want to start easy. You can always increase after a few weeks (or months) once you’re more comfortable. How do I set watts on my trainer? This goes back to the smart phone app that you’ll be using. You want to use an app that connects to your trainer, that then also allows you to manually set the resistance through your phone. This is called ERG Mode, which bases your effort on the target power number we came up with. For example, the first 5 minutes may be at 0 watts, then at 5-10mins, you will manually tap the phone app to increase resistance to 50 watts. And so on. I went to the gym and tried to do this on a machine they had but it didn’t work. Why? As I noted above, you really do need a smart trainer setup or access to a cycling studio that allows you to manually adjust watts for realistic cycling applications. Airdyne and Assault Bikes, for example, won’t work. Sorry. Jumping from phase to phase is really hard. Is it supposed to be? I’ve noticed the jump from phase to phase (week 4 to week 5) feels tough, especially on the first day or two. Even though this stair-step progression is fairly gradual, holding new power—even 10-15 watts more—will demand more from your surgical leg. If it gets too difficult, you can always dial back your effort. You should be pushing the intensity, but not to the point where it’s giving you pain in a bad way. I recommend you do this every other day. For me, trying to do this every day is too much. If you’re able to do each week’s effort 3-4x a week, you’ll be golden. If you’re trying to cycle every day, use your off days to pedal with less resistance, and potentially with a faster cadence to keep the leg loose and comfortable on the bike. In a nutshell, use all of this as a guide; a starting point. Hopefully this is helpful for your recovery. Let me know what you think and what you’re finding once you move through the schedule! Thank you! I am returning to spin after ACL replacement surgery. Of course. Best of luck getting back into the groove! Do you think I could apply all of this to a spin bike in the gym?? or would that be a totally different thing. Thanks for the supplement advice too!!! Hey Zarina, in my (limited) experience with spin bikes it’s not going to work the same way. You’ll need a way to manage and manually adjust the watt-output for each workout – so that you are being “held to” efforts. And as the weeks progress, you’ll be increasing those efforts little by little. So if the spin bike can do that, in theory it could work, but I’m not sure if those bikes can be set up that way! Great article and spreadsheet plan! You are showing 25-30 minutes as a maximum. Are you recommending not riding longer than this? Thanks Joel. You know, I wouldn’t necessarily limit yourself to 30 minutes. However, it felt like a good middle ground for rehab – especially in the first couple months – that landed between “not enough” and “too much” when building back up. For me it wasn’t uncommon to lightly spin for longer after a workout, or on off days as well. 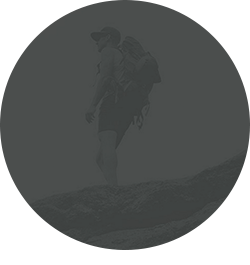 Thanks for this – I am using it as I type on a recumbent bike in a gym – first time trying anything since torn ACL was confirmed after a ski accident in January. Going to use it to keep legs working while waiting for surgery. It is clear enough for me to follow and make the adjustments etc. That’s great! Sounds like you know how to make it work for you. Best of luck with pre-hab.